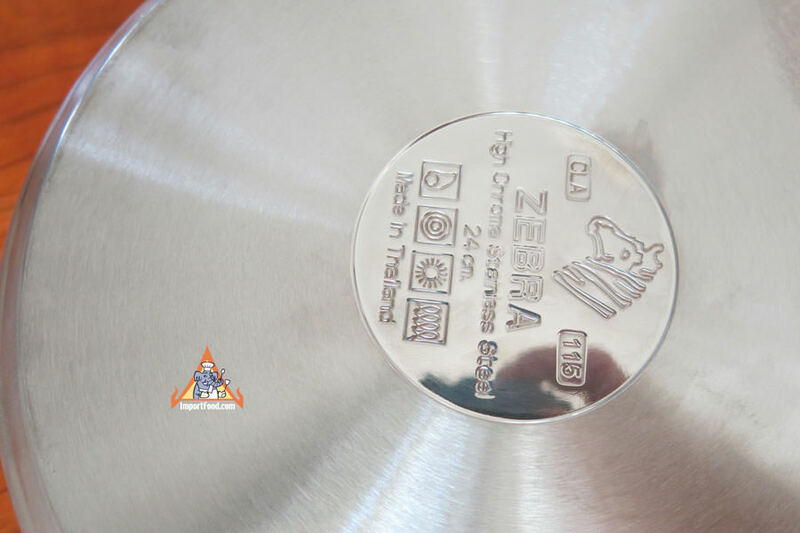 Zebra Thailand produces some of the highest quality stainless cookware in the world, and now we imported their new modern "Chef" series. 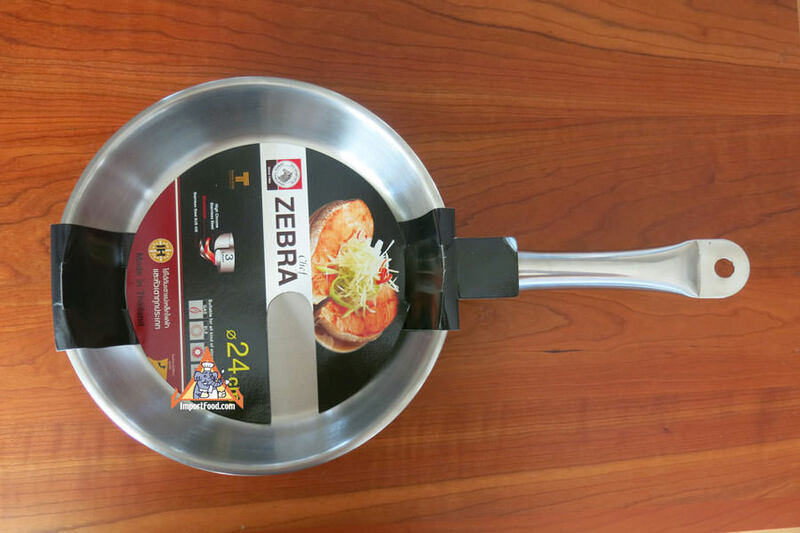 This pan is ideal for cooking all food, in particular Thai meals because it's a skillet with nice high sides so it's also like a wok. It woud compare to any of the top brands found in culinary stores today. 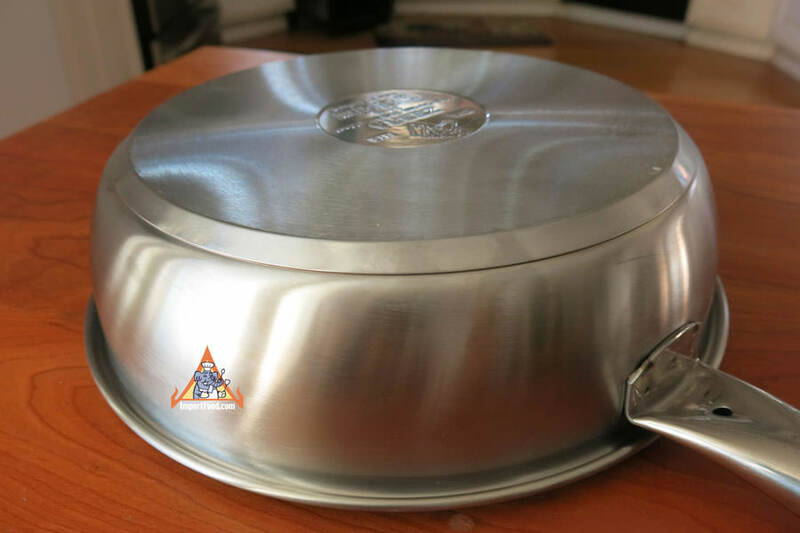 The pan holds 12 cups (three quarts). 10 inch diameter, 2.5" height. The nice heavy weight indicates quality, as it weighs 40 ounces. 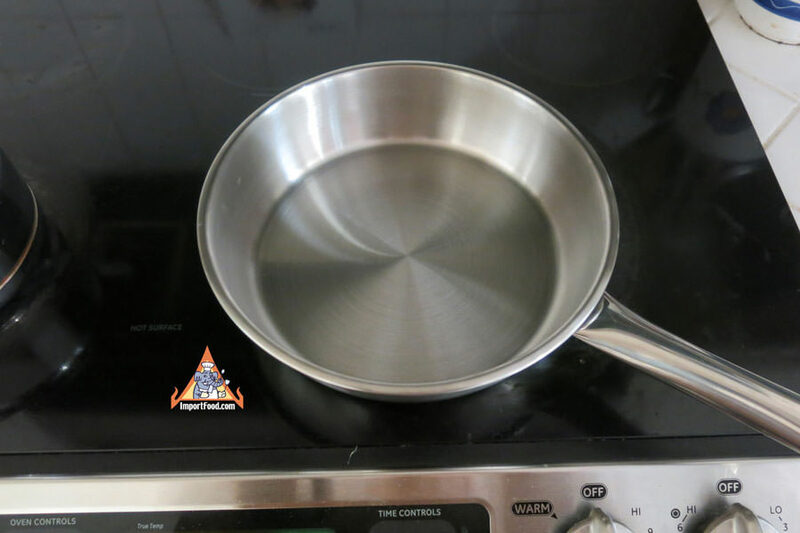 As a direct importer we are offering this for a great price, less than any cookware shop would have it listed as. A truly great frying pan. Made in Thailand.